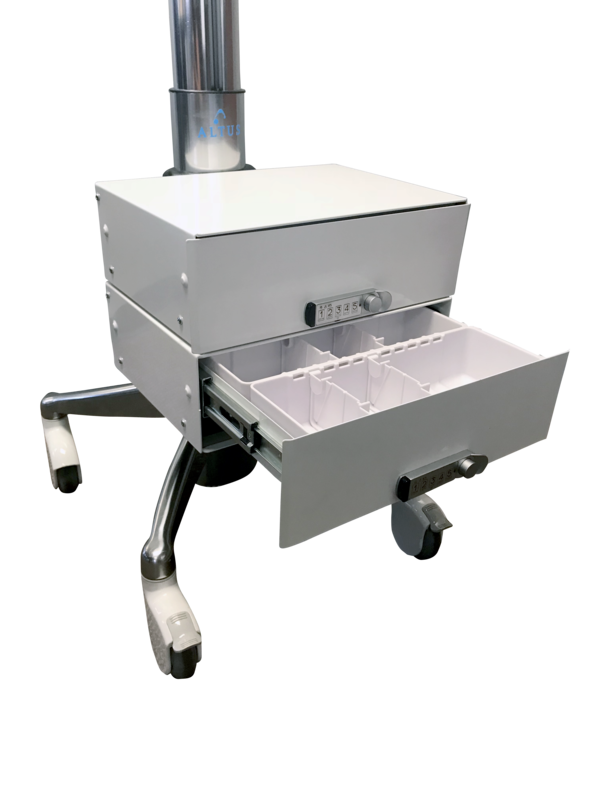 Column Mounted Double Drawer: DS2 | Altus, Inc.
Add storage to a Non-Powered Altus Cart. Host supplies and medication securely in this double drawer mounted storage unit. Easy access to supplies and medication on the go allows an uninterrupted workflow. Secure and safe storage solution. This double drawer mounts to the front of the cart under the non-powered mobile cart worksurface. Keeping your team organized. The column mounted double drawer provides four bins with 2 adjustable bin dividers in each. Supplied with a label the size of a business card to further organizational needs.